A house is never still in darkness to those who listen intently. Well, it’s that time of year again. The time of year when everyone seems to be up for a good haunted house story. Or two. The following are both first-hand accounts from people who lived in houses where things did go bump in the night. Whether you’re skeptic or a believer, I hope you find them as compelling as I did. Please note: at the request of the interviewee, the names have been changed. It was 1981 and Diane Rowland had just graduated from Elgin. Like a lot of young people, she was eager to leave home — in this case LaRue — and see the wider world, so she headed off to Florida. However, after a few months of living there, things didn’t work out, and she decided to come back to Marion County. Her folks had rented 15 room house on DeCliff Road, and she moved in there with them and her younger brother, Alex. Before her parents moved into the house, the house’s owner warned them that his deceased uncle, a man by the name of Guy Rook, haunted the house. Of course, Diane’s parents laughed it off. After the Rowland family fled the house, members of their church went back to the house to bless it, but as they were leaving, a chandelier hanging in the family room broke free and crashed to the floor. Diane says that when they moved into the house, it had been empty for years and had suffered extensive damage by both animals and vandals. Slowly the Rowland family began to fix up the house, and this included removing all of the old wallpaper, much of it torn and covered in graffiti. As they began removing it, they occasionally found little drawings signed in a child’s hand with “Guy Rook,” the name of the deceased uncle. As they lived there, the family began to notice odd things about the house. They would sometimes hear the sound of footsteps upstairs while they were all downstairs. Diane became so creeped out by the basement that she refused to go down there to do the laundry, and her father eventually moved the washer and dryer upstairs. Often family members would feel their air move as if some invisible presence had just passed by. Other times, family members would find their voices oddly damped as if there was an invisible hand in front of their mouths. Her 17-year-old brother was terrified of the closet in his room, convinced that some entity was inside it. One night he had some friends over to spend the night, and they awoke to find a massive shadowy figure hovering over them. The friends were so disturbed by the incident that they refused to sleep over again. Perhaps the creepiest incident Diane herself experienced occurred late one night while she was playing video games and her father (who was suffering from insomnia at the time) was reading a newspaper. Suddenly, they heard a deep, long growl that sounded as though it was coming from somewhere within the room. Diane and her dad froze and looked at each other. After a year or so of living in the house, Diane moved into Marion while her parents and brother continued to live there. It was the subsequent series of incidents involving her brother, Alex, that eventually forced the family to flee the house. Alex had a job at a pet store in Marion and would often return home around 11:00 or so. On this particular night, Diane’s mom was already in bed when Alex got home, and their dad was in Kentucky for a few days. Alex went upstairs to his room and took the family’s little dog, Toto, with him. As Alex lay in bed playing with Toto, she began growling, but as far as Alex could tell, there was nothing in the room. Suddenly, a bench at the foot of his bed began moving and a giant picture of a matador crashed to the floor. Whatever was haunting the house was in the room with Alex, and it slapped the dog off of his chest, snatched him by his ankles and dragged him across the room. Before he even had a chance to get up, he felt a great, crushing pressure on his chest. Barely able to breathe, he called out for his mom. As she approached the threshold to his room a moment later, she felt an icy wind pass through her. This frightened her, but seeing her son on the floor and in obvious distress frightened her even more. She quickly went to him, and he moaned, “I can’t breathe, mom! Something is on top of me!” Alex’s mother, who is a Christian, placed her hands on Alex and began to beg for Gods help. A moment later, whatever held Alex in its grip released him, and both Alex and his mother raced downstairs and outside. Alex later showed his mother three large slashes under his ribs that he had received during the struggle. Alex and his mom did not return to the house that night. (In fact, Diane’s mom never set foot in the house again.) Instead, they went to a relative’s place. When Diane’s dad returned the next day from Kentucky, members of the Rowland’s church were already moving the family’s belongings out. One thing the church members couldn’t move out that day, however, was Alex’s huge fish tank. Alex, probably worried that something would happen to his fish, went back to the house with a friend. They worked steadily and without incident until at last they had just about everything packed in the car. As Alex’s friend was waiting outside for Alex to come out of the house, all of the lights suddenly went out and Alex began screaming. He later said that as he had been coming down the stairs, something had caught him by the hood of his sweatshirt and wouldn’t let go. After a short struggle, Alex was able to break free, and he and his friend bolted from the property. Diane eventually returned to Florida in 1989 and has resided there ever since. Her brother and parents still reside in Marion County. Whether it was the malevolent spirit of Guy Rook or a different entity altogether haunting the house on DeCliff Road remains a mystery. Nikki Ristic was living in Columbus when she decided to look for a place back home in Marion. She was a single mom with a young son and her brother, Ivan, was going through a divorce at the time, so they decided to get a place together. Nikki had grown up on Saint James Street and had fond memories of that neighborhood, so they began searching for houses in that area. On day while driving over to visit her mom, Nikki just so happened to drive down Franklin Street and saw the “for rent” sign. Nikki says she felt drawn to the house immediately. Not only was it in good shape, but it was also close to both her mom’s place on Saint James as well as Benjamin Harrison Elementary School, which is where her son would attend the first grade. However, on the day Nikki and her brother met with the landlords at the house to pick up the keys and sign the lease, she began to have second thoughts almost immediately. “They [the landlords] handed me the keys, and everyone left, and I stayed,” she said. “I was the only one there and I began to have the eeriest feeling. I felt like someone was watching me, though I knew no one was there.” At the time she chalked this feeling up to being in an unfamiliar place. She figured once she moved her own belongings into the house, the feeling would go away. The house dates back to 1903 and Nikki was impressed with how well-maintained it was. Over time, there was no singular event that convinced Nikki that her house was haunted. Rather, it was a slow accumulation of peculiar and unexplained incidents: Her things would go missing. Windows would open easily on some days but remain stubbornly stuck closed on others. Her son’s battery-powered toys would suddenly turn themselves off and on at odd times. The nights were especially bad. “I would hear what sounded like people going up and down the steps all night,” she told me. She slept with the bedroom door closed, and sometimes at night she would see movement on the other side of the crack at the bottom of the door. Nikki kept a plastic water bottle next to the bed, and many nights she would almost be asleep when she would hear the sound of the bottle being squeezed. This happened with such regularity that she eventually just stopped keeping a bottle next to her bed. The house had French doors between rooms, and sometimes she would lock the doors before leaving the house only to find them unlocked and open when she got home. On one memorable occasion, she was just getting ready to fall asleep when she heard someone holler her name. She assumed it was her brother and that he had locked himself out of the house. She opened her window and hollered down to him, but he didn’t respond. Irritated, she called him on his phone and asked him where he was. He was in Pennsylvania. To make matters worse, her brother rarely stayed there, so she felt increasingly isolated in the house. “I kept telling my brother and his girlfriend how uncomfortable I was in the house. I used to beg them to stay there with me,” she told me. While Ivan also had strange experiences in the house, Nikki felt these didn’t affect him as deeply as they did her. He wasn’t unsympathetic, however, and both Ivan and his girlfriend eventually began to take Nikki’s experiences in the house seriously. And so life went on for Nikki in the house on Franklin Street, and within a few months she began to wonder if she was losing her mind. “I’m not terribly religious person, but after awhile I had crucifixes hanging up all over the house,” she told me. “At one point I was even trying to make deals with the ghost. I’m like, ‘Let’s live together. I will share the house with you. Just leave me alone. Stop messing with me.’” To make matters worse, her brother moved out of the house after a few months, and she suddenly had the added financial stress. In desperation, she eventually contacted a local paranormal organization called The Marion Paranormal Group, and they offered to do an investigation. When they showed up at the house, they were positively bristling with equipment: radios, cameras, detection devices. One electronic device purportedly allowed a spirit to answer questions, and when the group asked if the spirit behind the haunting had a name, it responded with a few different names before unleashing a torrent of profanity. The group eventually concluded said that the spirit wasn’t necessarily malevolent but rather just a kind of trickster who delighted in upsetting Nikki. When they offered to perform a “cleansing ritual,” Nikki gladly accepted, and afterwards Nikki said the oppressive atmosphere and the random, disturbing incidents ceased immediately. Nikki continued to live peacefully in the house for around 8 more months before moving out late in the spring of 2016. She had met a man and decided to move to Cleveland in order to be closer to him. 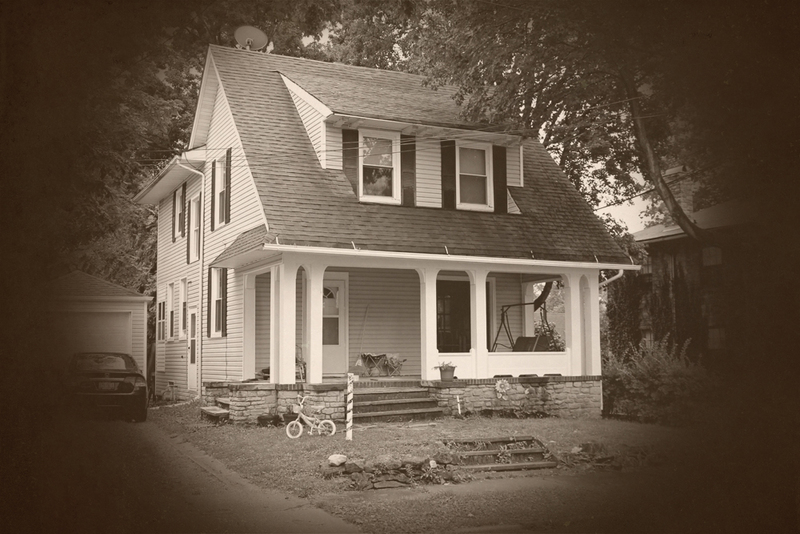 Her experiences in the House on Franklin Street were her first brush with the paranormal and, she hopes, her last. 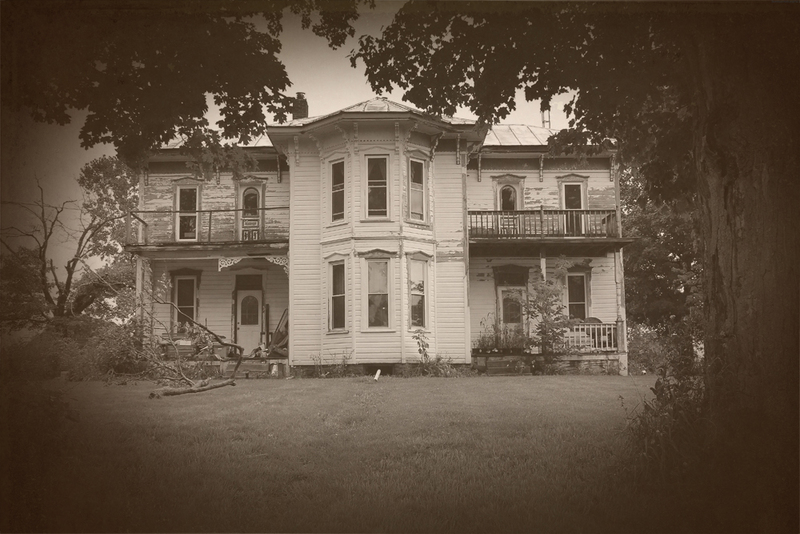 When I was 16 we lived in a house in State Route 294 between Marion and Bucyrus that I swear was haunted. Me and my best friend were the only ones who had any experiences there, but it was very frightening. I lived in the house on DeCliff Road as a child. My 3 brothers, my parents and myself. This story was jaw dropping to all of us because my parents have always said that when we lived there the four of us would play a game called Guy Rook, where we all would hide till Guy Rook found us by scaring us. We lived here for quite a few years and my parents also talked about a lot of weird things that happened there but never anything harmful. I have never heard any say the name Guy Rook till now, 25 years later. All I can say is wow!